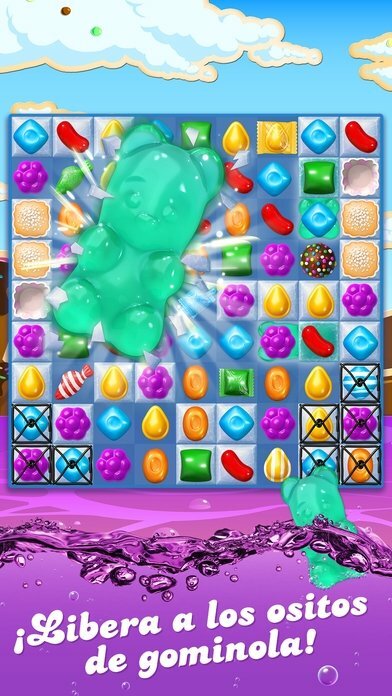 Discover new game modes and different combinations of sweets thanks to Candy Crush Soda Saga for iOS devices. The classic Match 3 is back and full of updates, such as new characters, renovated graphics and more levels. 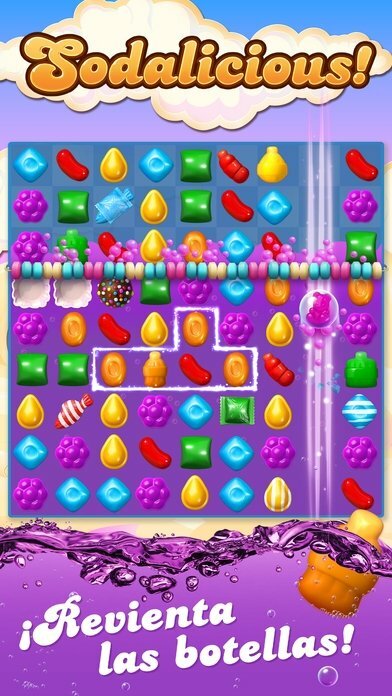 You're going to have your mouth watering, even more than with Candy Crush. Soda: swap bottles to make them burst and spill their purple soda. Frosting: combine sweets to crack the ice and release the gummy bears. Bubble: save the gummy bears trapped inside bubble making them float upwards until the get past the candy belt. White and milk chocolate: swap candies next to the chocolate so that it doesn't flood the entire board. Honey: mix candies with honey to release the trapped bears. Bubblegum: combine candies on top of bubble gum to avoid it from spreading. 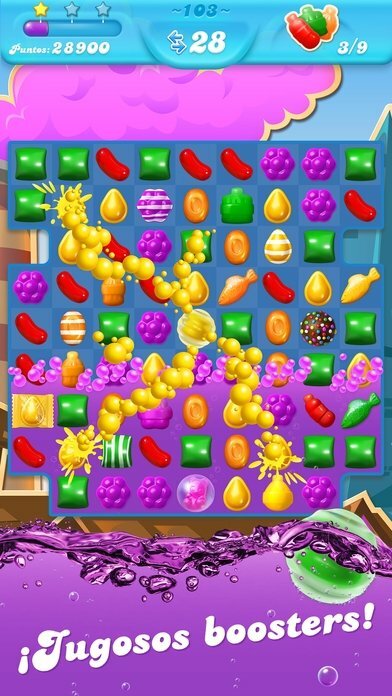 Different combinations of 4 candies in a square, 7 candies or 4 purple candies. Each one of them will unleash a special effect. Explore all the scenarios and discover new characters. 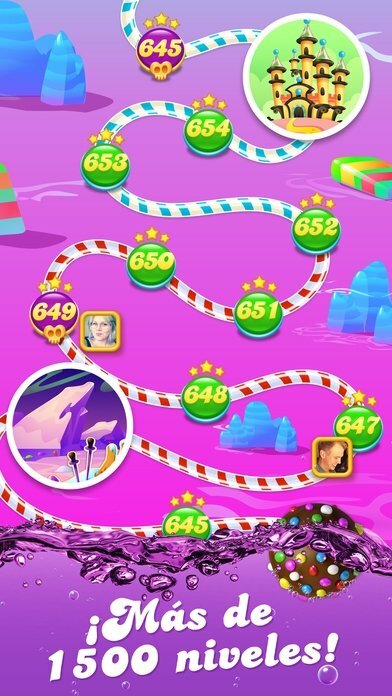 Play by connecting to Facebook and sharing your score with your friends. 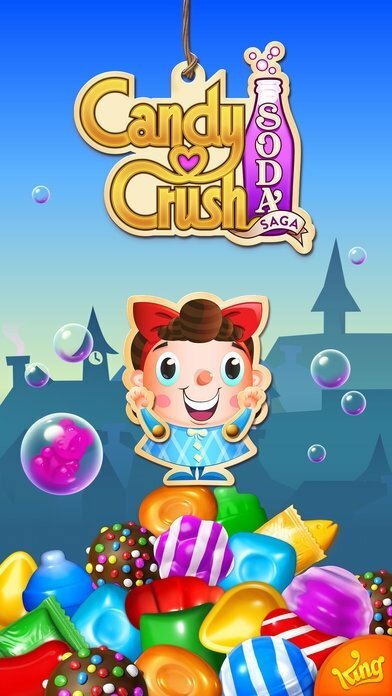 Download Candy Crush Soda Saga for iPhone and don't forget to challenge your friends and share your scores on Facebook.